As Mexican exports continue to soar, we take a look at the nation’s five busiest cargo airports. Air Cargo in Mexico hit an exciting milestone in 2018: total international and domestic air freight handled topped 1 Million metrics tons. This represents a 9% increase over 2017, continuing a trend 10 years in the making — air cargo volumes in Mexico have increased by 78% since 2009. With growth comes growing pains, especially at Mexico’s busiest airport, Mexico City International, through which more than half of the country’s air freight passes. “MEX is overcrowded,” notes Emmanuel Trejo, Head of Air Freight for DB Schenker Mexico. Whereas the Mexican government has successfully invested billions in modernizing its ports, roads, and railways, a project to replace MEX with a new airport 10 miles to the North failed to survive a referendum vote last October. Altitude also plays a surprising role in airport congestion. Trejo explains: “If the temperature goes above 24°C (75°F), the payload needs to be reduced.” That considered, Toluca International Airport (TLC), which is 45 miles west of MEX and rounds out our list at #5, may be limited as to how much pressure it can take off its larger neighbor: TLC still has extra capacity, but it’s 1,149 ft. higher than Mexico City’s already lofty 7,316 ft. elevation. Capacity is less of an issue at other airports. For example, “Guadalajara [GDL] is growing and prepared to handle more perishables requiring temperature control,” says Trejo. “Other airports like QRO and MTY are good options, depending on the customer and industry.” He also recommends two airports on the Yucatan Peninsula that, while not in our top 5, are good options for perishables and aerospace customers: Merida (MID), and Cancun (CUN), where DB Schenker operates a 14,000 ft2 warehouse. Mexico continues to be the United States’ second largest goods supplier: the US imported $314.3 billion from Mexico in 2017, a $20 billion increase over 2016. In turn, US exports to Mexico were up $13.3 billion in 2017 (for a total of $243.3 billion — a 5.8% increase over 2016, and a whopping 79% increase over 2007), making Mexico the US’s second largest goods export market. Additionally, a taste for Mexican products in Europe and China continues to grow. So economic and trade policy uncertainties notwithstanding, the demand for air cargo capacity in Mexico will likely increase. Below are the top 5 busiest air cargo airports in Mexico. These rankings are based on total cargo moved, international and domestic, according to official government statistics for 2018. Officially named the Benito Juárez International Airport, MEX serves an area with a GDP of $411 billion and a population of 20 million and is by far the busiest airport in Mexico for passengers and cargo alike. 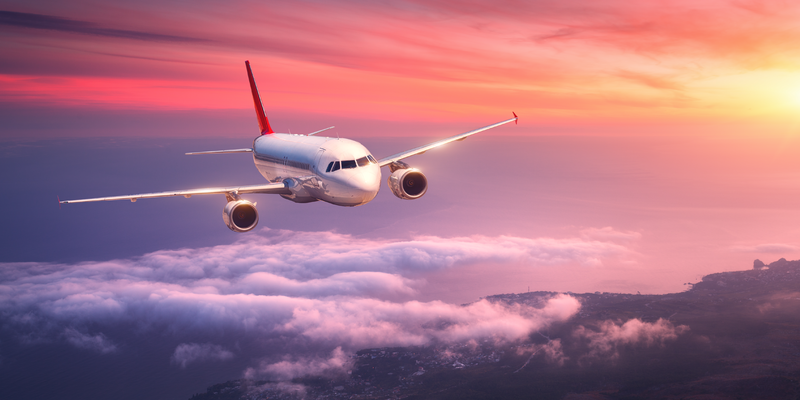 7 of the 10 busiest international routes in the country are between MEX and Los Angeles, Frankfurt, Paris, Doha, Amsterdam, Luxemburg, and Madrid. These routes account for some 33% of all air cargo to/from Mexico (the busiest route, MEX to LAX, accounted for 8.5% of all air cargo in 2017). The airport’s 2 parallel runways are just about at 100% of their capacity. As mentioned above, a new $13 Billion airport was proposed in 2014 to replace MEX, but the 8-year project did not survive a referendum vote in October 2018. However, as of December 2018, construction continues as officials look for alternate sources of funding. DB Schenker offers customs clearance services at MEX and operates 30,000 ft2 of bonded warehouse space offering both climate controlled (15-25°C) and cold chain (2-8°C) capacity, with 52,000 cubic ft of refrigerated space. The recently expanded cargo terminal at the Miguel Hidalgo y Costilla Guadalajara International Airport, as GDL is officially known, covers some 6.7 acres and is able to accommodate aircraft of all sizes. It’s served by two runways. Two of the 10 busiest routes, Los Angeles-GDL and Memphis-GDL, accounted for 7.2% and 4.2% of all international air cargo to/from Mexico in 2017. DB Schenker offers customs clearance services at GDL and specializes in electronics as well as climate controlled operations for pharma and perishables (fruits and vegetables). As the commercial center of northern Mexico, Monterrey is home to many international corporations. The General Mariano Escobedo International Airport, or Monterrey International Airport (MTY), has two runways and 15 acres of Air Cargo operations. DB Schenker offers customs clearance services and inbound services at MTY to other airports, such as MEX and airports in the US, which are especially well suited for its industrial customers. Located about 130 miles northwest of Mexico City, QRO is also considered an alternative to overcrowded MEX. This may help explain the airport’s phenomenal 75.9% increase in international cargo and 26.3% in domestic cargo, for a combined increase of 49% over cargo handled in 2017! The airport has over 8.5 acres dedicated to cargo processing and a single 3500 m/11,500 ft runway. DB Schenker offers customs clearance services at QRO, as well as multi-modal/rail service. TLC is even closer to Mexico City than QRO (only 45 miles west) and is becoming recognized as an attractive alternative to MEX’s overcrowding. The lion’s share of international cargo out of TLC, or the Licenciado Adolfo López Mateos International Airport, is due to a single route: TLC-Memphis. One of the top 10 busiest air cargo routes in Mexico, it accounted for 23,900 of TLC’s 24,800 metric tons in 2017. While international cargo did increase a modest 2% in 2018, TLC’s impressive 17.1% growth is thanks to a 75.6% uptick in domestic air cargo. DB Schenker offers charter operations at TLC, where it specializes in serving the automotive industry. 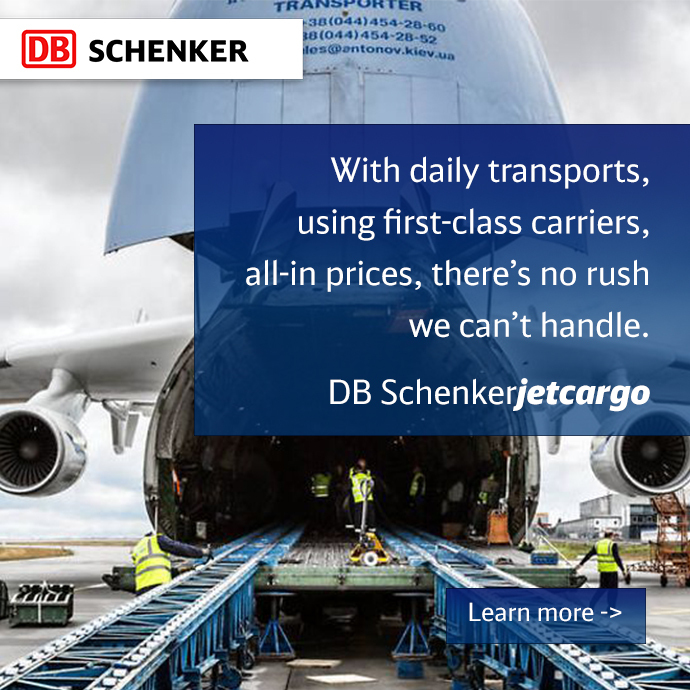 Need more info about DB Schenker Air Freight solutions? Click here for the US, click here for Mexico.